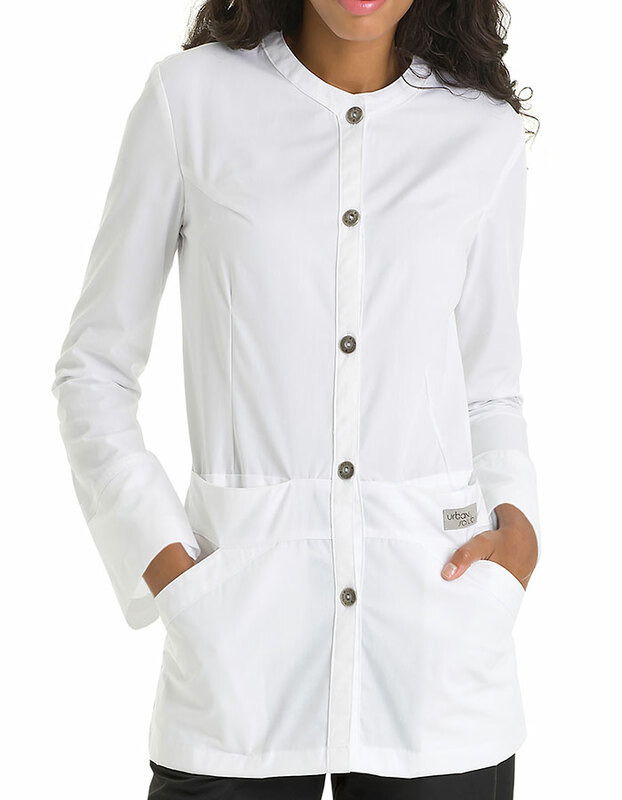 A modern style women lab jacket from Urbane scrubs is featured in an innovative sleeve design with its hidden stockinet cuffs to keep sleeves out of the way. The high collarless neckline, back-fitted darts, princess seams at the front and back for added shaping and five-button signature closure makes it very unique. 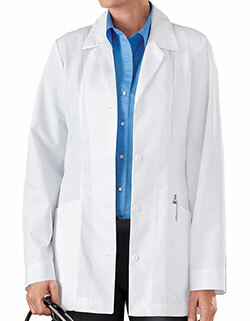 It also has a set-in waistband and four lower pockets for you to be able to keep your items at hand. The fabric used for this is of combined poly/cotton material.